Let's say that either you, or your gift recipient, is ready for a full-size commitment; you spy a gorgeous bottle on social media and swoop off to find out how much it costs, and upon spying it's three-digit price tag, shriek in horror and flee back to safer wallet waters. While it's true that the full sizes of the products I mentioned in Hanbang for the Holidays Gift Guide I: Little Luxuries Under $15 are quite expensive, there's still lovely full size options out there that won't immolate your bank account as soon as you cast your eyes on them. Hanbang products come in a range of brands, with varying quality, and as long as you have reasonable expectations and understand why you're buying them, you'll be able to find something within a reasonable budget. Speaking of expectations, as I mentioned in the last post, I don't rely on my non-active-ingredient skincare for active effects; this frees up the rest of my routine for hydration and relaxation. I'd also like for them to have an attractive smell and be in attractive packaging, and this is the recipe for my torrid affair with Hanbang skincare. I don't mind if it doesn't whiten my dark spots, fade my fine lines and wrinkles, or control my acne, because I use science-based products for those tasks, even if they smell bad (Cosrx BHA), are unpleasant to use (azelaic acid from Curology), or come in ugly-but-functional packaging (too many examples to list!) I have science to care for my skin, I want Hanbang to soothe my soul. To recap: some of these I have tried myself, and others are simply on my watch list of things that have caught my eye. I'll also be including some non-Hanbang but still thematically similar Taiwanese sheet masks in part III, because they're a little easier to source than my Hanbang faves. If you want something a little more substantial than travel sizes or deluxe samples, there are affordable Hanbang options out there as well. They're a bit more of a risk as they don't have the established reputation of the big brands; a product's Hanbang factor is not a predictor of success. That being said, I've been quite lucky with some of my 'unknown' purchases, namely the Beauty of Joseon cream, which has been trending hard since I reviewed it early this year in Beauty of Joseon Dynasty Cream; a Hidden Gem, and the love affair is still going strong 3 jars in. I'll let the review speak for itself, because it's magical and wonderful and I love this cream so much; it's the best impulse purchase I've ever made, with Evercos sheet masks running a close second. You can't get much more Hanbang than something with a Joseon theme and packaging design made to look like medicinal jars! In the 'pretty, Hanbang, and pleasant although not mind-blowing' category is this gorgeously packaged Sooryehan essence, which I managed to empty despite not being swept away by passion for the contents. It was nice, it just didn't rock my world. The packaging sure did, though! This may be why the majority of my review is devoted to photo after photo of this lovely bottle. It's also full of Hanbang ingredients, just nothing that would pack a serious whitening punch despite the name. However, if you're looking for a lovely, affordable full-size Hanbang-y gift for someone who is nervous about whitening in their skincare or protective of their tan, this would be a good beginner option. Where to get it: this light, hydrating, and gently-Hanbang-scented essence was purchased via Avecko's buying service, but it's also available via eBay $20-$25 w/ free shipping. Perhaps one of the most famous K-Beauty products, the fermented rose luxury of the MRCS used to be difficult to find, but now it's become both readily available and affordable, and thus it belongs on this list! 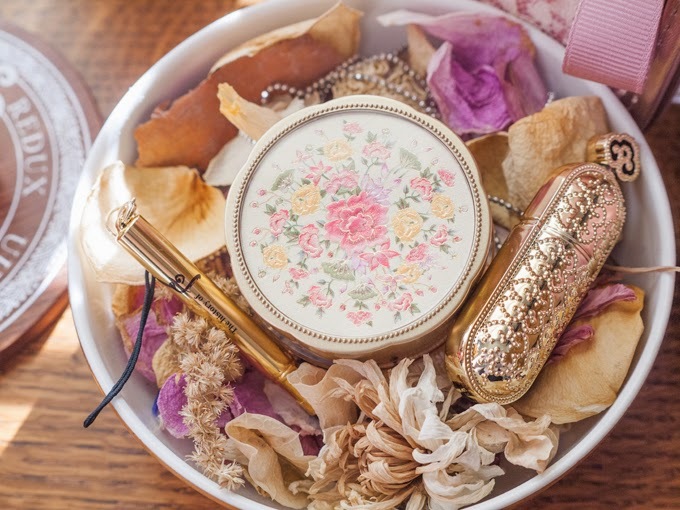 Although the Miracle Rose Cleansing Stick is a cult product and is very popular (for good reason), it's important to note that at the end of the day, it's a low-pH soap that is gentle and smells wonderful. It does not work for everyone, and it does contain some skincare triggers that may affect some people. You can read my full review here: Review: Su:m37 Miracle Rose Cleansing Stick, where I break down the ingredients list and discuss the different ways to use this product, along with my thoughts after using up multiple tubes. This is a great introductory product for a K-Beauty beginner, and this was actually one of my mother's Christmas gifts last year. Where to get it: On Amazon for $20-$25; Amazon has become a go-to place for MRCS and it's often available for around $20 or $25 with Prime. If I had realized that there were two versions of this, I would have gotten the lighter version as this is quite rich and moisturizing vs hydrating, but if you're looking for Hanbang body care, you do have options! It smells fresh and lovely - slightly floral and herbaceous. It actually has a thinner consistency that I would expect considering how moisturizing it is. It feels like a thick emulsion when you start rubbing it in- and I can't stop sniffing [my hands]. I wasn't aware of the lighter version, Illi Fresh Moisture Body Lotion, when I got mine, until Tiffany of tiffanyandlupus told me how much she loved hers. If I ever manage to polish off this giant bottle, I'll definitely be looking to snag this version instead! I don't own this, but I really, really wish I did. I don't own it because I already have a fantastic winter balm that was quite cheap and I promised myself that if I managed to use it up, I'd treat myself to this magnificent History of Whoo set. I think my balm is the Mary Poppins' carpet bag of balms; despite using it regularly I seem to have made only a small dent in it. I'm dead. DEAD! This balm set comes with the balm (naturally) a lip brush to apply it without mucking up your fingers or the balm, and a mini-size lipstick in a gloriously beautiful box. Where to get it: sometimes it pops up on eBay or Amazon, but they only have the newer version right now with the mirror + stick balm + gloss. (Do not want.) If you want this original set, you'll need to buy it off of TesterKorea, where it retails for about $30 before shipping. These are on my wishlist, or just things I have noted in passing as being 1. Hanbang, 2. prettily packaged, and 3. under $30. You can't get much more Hanbang than an actual, visible root floating inside your product. I'm so down with this. This shampoo was recommended to me by Tracy of Fanserviced, who is way more cognizant of what she applies to her hair than I am. While it might not be History of Whoo, this is still cute and affordable. Sadly it doesn't come in my shade (#13) nor does it offer real UV protection (see here on why makeup with SPF is not really useful for SPF) but I rarely wear powder anyway. See above thoughts on SPF and shades available, but add the lure of snails to the party. If it came in my shade, for $15 I would be willing to give it a shot. What is it? I have no idea. With a bottle like that, do I care? Nope. The only thing stopping me from getting this is that I've already done terrible things to my wallet this week ('tis the season to buy things for other people after all) and I need to control myself. But what if you're unsure that your giftee is going to be all about that Hanbang life? It's not for everyone; some people dislike the herbal scent or have a different aesthetic. Not sure which way they'd go? For that, I'd recommend going with the one night stand of skincare: sheet masks. On to Hanbang for Just One Night: Sheet Masks for the Commitment Shy, which is our last entry in this series! **Disclaimer: All products reviewed/mentioned in my blog, are 100% purchased with my own money, with a single exception of a press sample I reviewed in 2015 which swore me off of them forever. This blog contains both affiliate and non-affiliate links, and clicking the former before you shop means that this blog will receive a small commission to assist in this blog supporting itself. Please see my Contact Info & Disclaimer policy for more information. Omg that last one looks similar to the Sansooyu Yeon Geol Aqua Cream. Have you heard of it or seen it online before? Would it be a wise decision to get something from that brand...please let me know 😥😥😥 it's like $14 on eBay. Let me know! I did, actually! It's even more affordable on RoseRoseShop, but none of it really made my heart sing so I didn't include it. :) Great deals, though! Memebox's US site currently has the Illi Total Care lotion on sale for $20 (reg. $27). I like that it feels moist upon application, not waxy like some creams. I was hoping for more of a hanbang aroma though, and don't like how the scent fades to eau de baby wipe.